Facing 1,000 Miles Of Frigid Winds With Loyal Dogs And Willpower The 1,000-mile-long Yukon Quest Sled Dog Race is underway Saturday. It's not so much a race as it is a test of survival — and veteran musher Lance Mackey knows all about fighting for the finish. 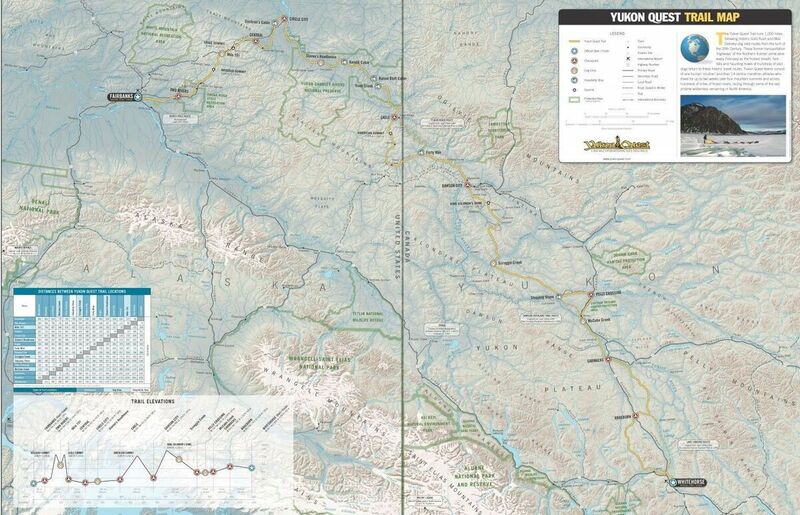 Saturday marks the start of the annual Yukon Quest International Sled Dog race, a 10-day journey from Whitehorse, Yukon, to Fairbanks, Alaska, 1,000 miles away. It's not so much a race as a test of survival. This year, veteran musher Lance Mackey is back on the trail. He's considered the Michael Jordan of the dog mushing world — an athlete who fought his way to the top. In the dog mushing world, 44-year-old Lance Mackey is like Michael Jordan. The sled dog racing veteran returns to the Yukon Quest this year. It's never been easy for Mackey. He'll tell you life keeps throwing him punches. The older he gets, he says, the harder the punches are. He has a gnarly scar down his neck from throat cancer that almost killed him over a decade ago. The treatment took its toll, too. Mackey's missing a finger from nerve damage, he has no salivary glands and he's lost his teeth. The Yukon Quest is a grueling 1,000 mile-long sled dog race that begins in Whitehorse, Yukon and finishes in Fairbanks, Alaska. "I'm 44 years old, but I look like I'm 64 and I feel like I'm 84," Mackey says. "I'm kind of beat up." But he's still standing — and still out with his dogs pushing through some of the most grueling, frigid parts of the Yukon Quest. "Forty-mile-an-hour head-wind in your face, it's 40 below, it's pitch black, you haven't slept in two days, and the only thing you got left to eat is a frozen candy bar and your water bottle is frozen so you're chewing on icicles," he says. "And you're thinking, 'What in the hell am I doing out here?' Then you look up and you see your dogs all pulling hard and the sun's coming up over the horizon and you're one of very few people in the world that get to experience that or see that landscape." Mackey lives just outside Fairbanks, Alaska, where cold weather is just a way of life. At checkpoints during races, he's been seen flashing through with frosted eyelashes and icicles hanging from his goatee. "There's a lot of people out there with missing digits and frost-bit faces," Mackey says. "We didn't have to go out and do this. We could've been sitting on a beach, drinking fruity drinks out of a coconut shell if we wanted. But we sacrifice some personal comfort, no doubt about it." Lance Mackey drives his dog team along the Bering Sea during the 2007 Iditarod. "There are sections of trail that are over 200 miles with nothing in between," Mackey says. "Without your dogs, it'd be pretty lonely out there." Ask Mackey to tell a story from the trail and he could go on for hours. There was the time that he almost froze to death during the Yukon Quest in 2008. Mackey pulled off to give his dogs a much-needed break, and he says the cold was unbearable. "I was so cold, I couldn't get a fire to start," he says. "I walked up and down my team, numerous times, just trying to stay warm, keep my blood flowing." His dogs, wearing their own coats and snow shoes, were asleep on their beds of straw. But Mackey says he was starting to feel the onset of hypothermia and was fighting to stay awake. "I told myself, 'There's no way I can lay down and go to sleep. I probably won't wake up.' "
They had to keep moving. Mackey says he was getting desperate. "I asked my dogs to dig deep and asked if they were willing to get up and go, and they stood up and they started barking like it was the starting line," he says. "They feed off our emotions and our thoughts. And they knew that I was maybe in a situation [where] they had to step up and pick up some of my weakness." Mackey ended up winning the Yukon Quest that year. Mackey, shown racing in the 2009 Iditarod, has won four Yukon Quest races and a record-breaking four consecutive Iditarods. In 2007 and 2008, he won the Yukon Quest and Iditarod back-to-back. 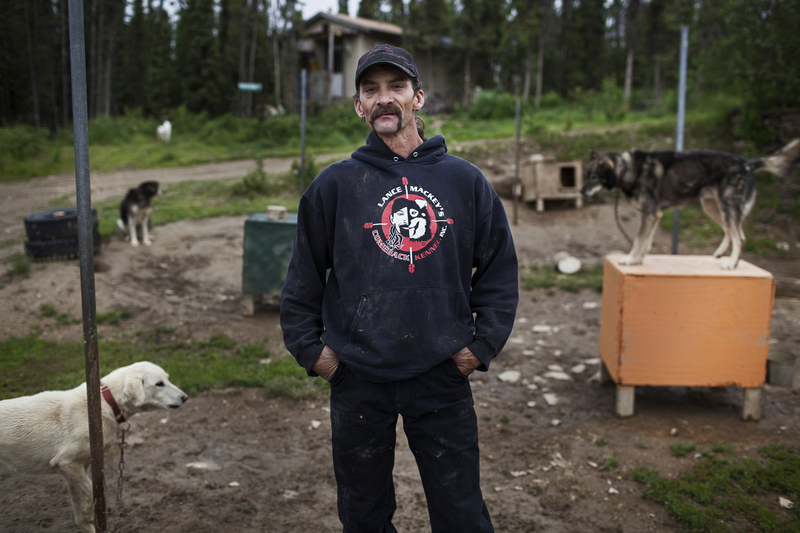 Before his sled dog days, Mackey worked as a commercial fisherman out on the Bering Sea. He had his share of close calls there too, like the time a line snapped and a giant hook caught his hand. "I was somewhat bleeding profusely and my hand was in shock and numb, and the skipper stuck a roll of black tape in my mouth, told me to turn my head and he sewed me up," Mackey says. "I about bit that roll of black tape in half, I'll tell ya." But Mackey says the money was good, so he stuck with it for 10 years. The problem was, he was getting into trouble, from barroom brawls in port towns to drinking and drugs. "I did a lot of things in those days that my parents weren't really proud of," he says. "They weren't bragging about some of the things I was doing and I kinda destroyed a pretty good relationship with them in those years." The only way his parents would trust him again was if he joined the family business. Mackey comes from a dog-mushing dynasty. 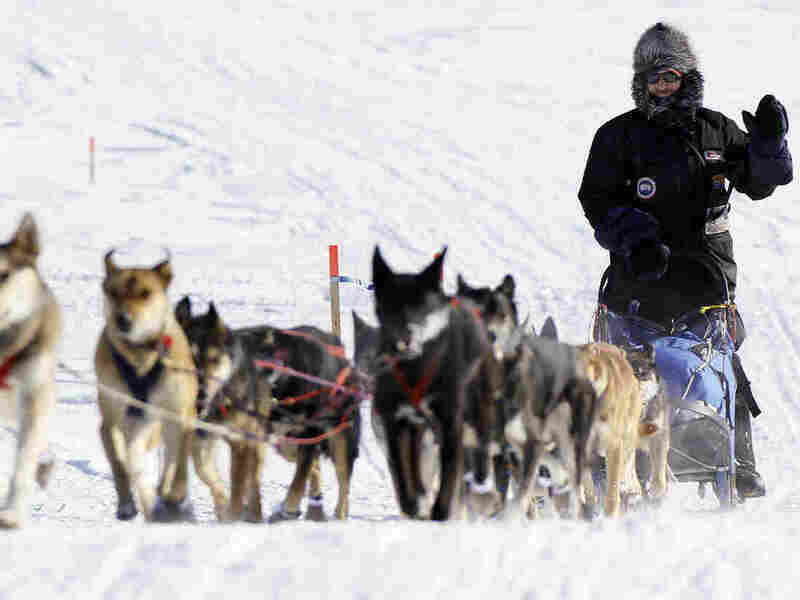 His dad helped found the Iditarod back in the '70s, and his mom and brothers raced too. 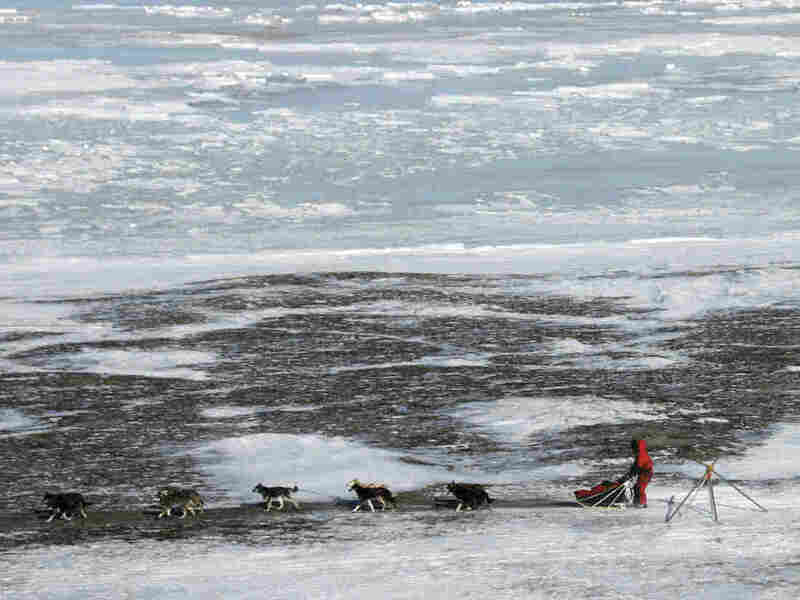 So Mackey quit fishing, he cleaned up and with a rag-tag team of sled dogs, he set off. He says those dogs saved his life. 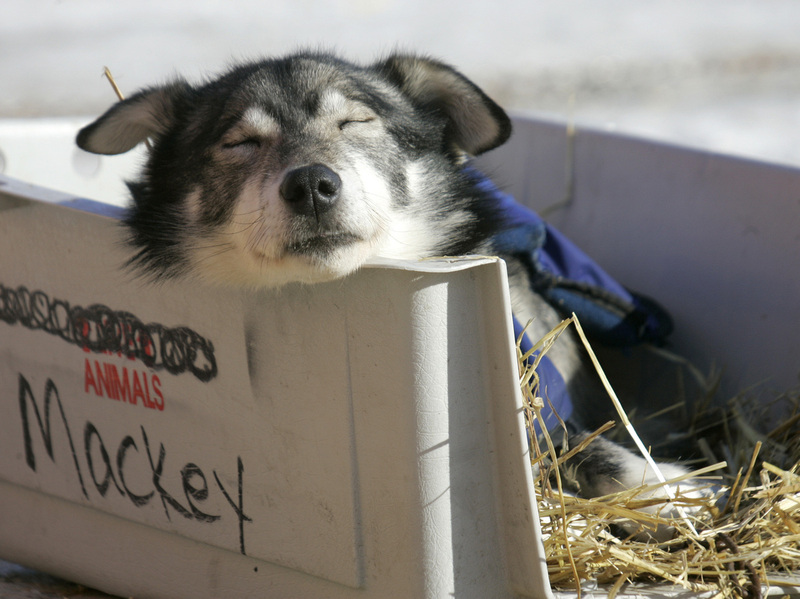 After working as a commercial fisherman, Mackey turned to sled dog racing to get his life in order. He credits his dogs for saving his life. "I could've been pretty much an adolescent teenager for the most part of my life. And I feel if I didn't have that everyday commitment and that responsibility of providing and caring for them, that I might be a train wreck," Mackey says. He's won four Yukon Quests and a record-breaking four consecutive Iditarods since then. In 2007, he did the impossible: He won the Yukon Quest and Iditarod back-to-back. Then, the following year, Mackey did it again. But it's like he always says: Life keeps throwing punches. Mackey's last big win was in 2010. His sponsors have steadily dropped out and he's still paying off his medical bills. "I'm struggling a little bit financially, I'm struggling a little bit with my positive attitude at times, but I'm fortunate to be alive and have a dog team that wants to go out and do great things," he says. "I got a beautiful group of people in my corner. I said several years ago, if I got five more years of racing, I'd be grateful. And that was five years ago. So I'm saying it again: If I can get five more years of racing, I'll be grateful." Out in the frozen wilderness, somewhere between Whitehorse and Fairbanks: he says that's where he likes to be. As long as his dogs are willing, Mackey says he'll keep racing. Emily Schwing from member station KUAC in Fairbanks contributed to this report.